This afternoon will reach the 60s, but Sunday will bring temperatures that are about 30 degrees cooler. DENVER — It is a gorgeous end to the week! We'll see highs in the upper 50s to low 60s across the Metro Area today. There will be plenty of sunshine statewide too, with the mountains expecting highs in the middle 40s to low 50s. A new storm will move into the central Rockies for the weekend. 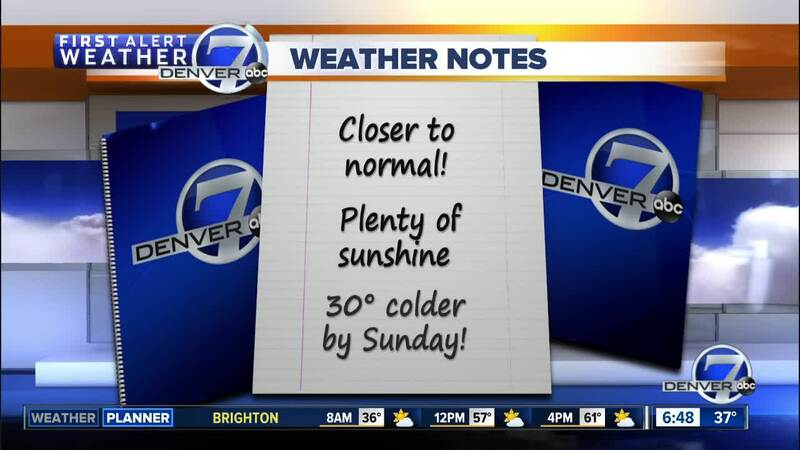 Clouds will move into Denver Saturday afternoon with highs in the upper 50s. Saturday night and Sunday will be much colder with snow and temperatures in the 20s. 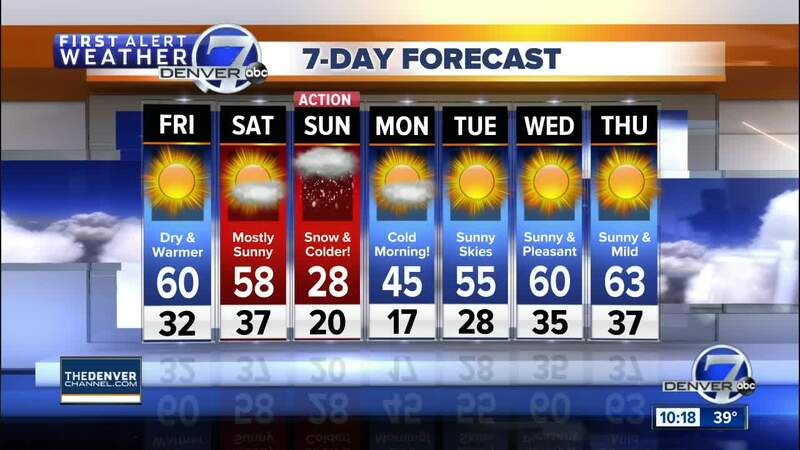 Denver should get two to four inches of snow through midday Sunday. It will be a cold afternoon for the Bronco Game. If you have tickets, bundle up because temperatures will be in the mid to upper 20s at kick off.